Portland, Ore – We received our Galaxy S7 Edge today. It’s a great phone. The high resolution screen has crisp and clear colors. The edge display is compelling. It is light and easy to handle. It is a phone designed for productivity. For productive people, that means taking the power of your PC and carrying it on your phone. Category colors, templates, linked contacts, reminders and recurring tasks are all part of this picture. 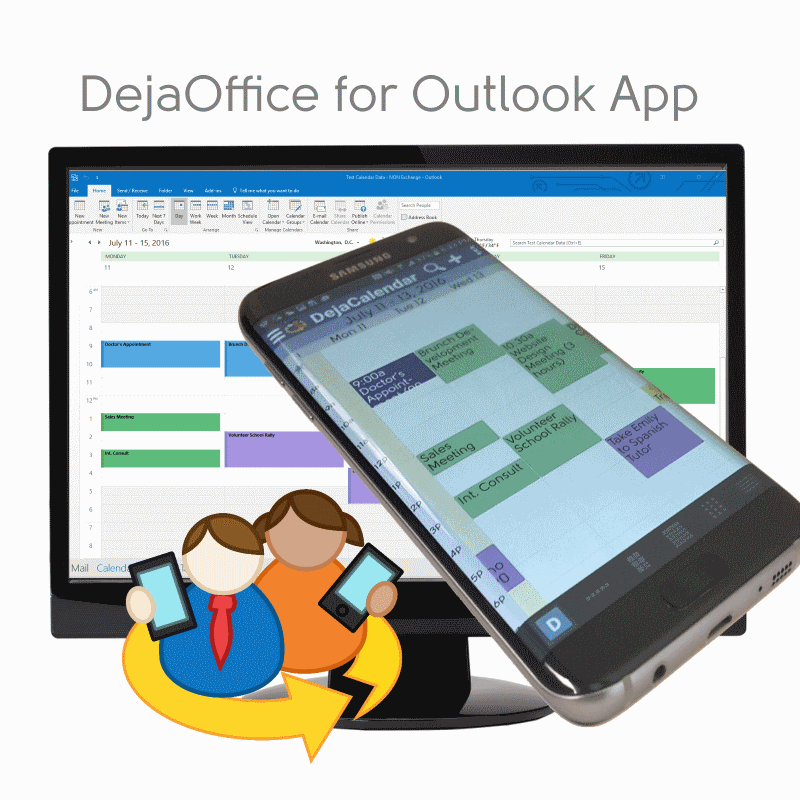 If you use the Outlook App, or the Google App, then you should give DejaOffice a try. DejaOffice is an All-in-One app that gives you a ton of features that you use every day on your desktop, and that are completely missing from your phone. Simple things like Outlook calendar colors, a week at a time view, recurring tasks, and recurring tasks from your PC. DejaOffice comes from CompanionLink Software, long a leader in PC Synchronization for mobile devices. CompanionLink will synchronize to DejaOffice through a number of methods, including secure USB and Wi-Fi sync, and CompanionLink’s proprietary DejaCloud. We highly recommend DejaCloud which is much faster than Exchange Sync. CompanionLink supports older versions of Outlook, like Outlook 2010, as well as Act!, IBM (Lotus) Notes, and GoldMine. 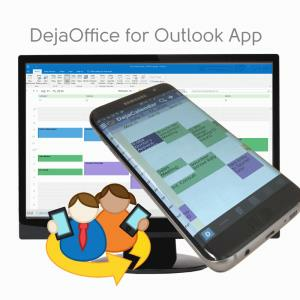 DejaOffice for Outlook App is free and available from Google Play for Android, and the Apple App Store for iPhones and iPads. DejaOffice handles Contacts, Calendar, Tasks and Memos, including category colors, call journal, templates, voice commands, and contact and appointment mapping. For more information visit: http://www.dejaoffice.com. CompanionLink provides PC sync for Outlook, Act!, IBM (Lotus) Notes, GoldMine and Google. CompanionLink for Outlook is $49.95. CompanionLink for Mac is also $49.95 and fully supports Outlook for Mac sync to DejaCloud and Google. For more information visit http://www.companionlink.com/android/outlook/ and http://www.companionlink.com/iphone/outlook/. CompanionLink® Software, Inc. is a pioneering developer of data synchronization solutions for mobile phones and CRM software and services. They also develop a DejaOffice® for Outlook® App which runs on Android™, iPhone®, iPad®, Windows Phone®, and BlackBerry® devices. For 28 years, CompanionLink has helped mobilize information across devices, computers, applications, and web-based services. For more information, please visit www.companionlink.com and www.dejaoffice.com.